Their favourite Bordeaux or Pinot Noir deserves to be transported with panache. Made of high-grade, black faux leather lined with black micro-suede. Included is a small pocket for a wine accessory and adjustable and detachable strap. 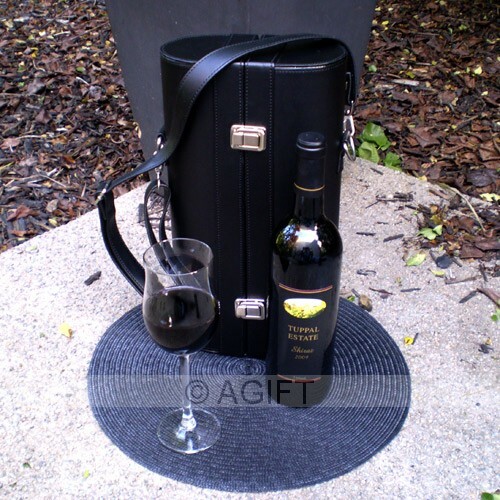 Perfectly holds, two bottles and ensures they arrive at their destination ready to be enjoyed. 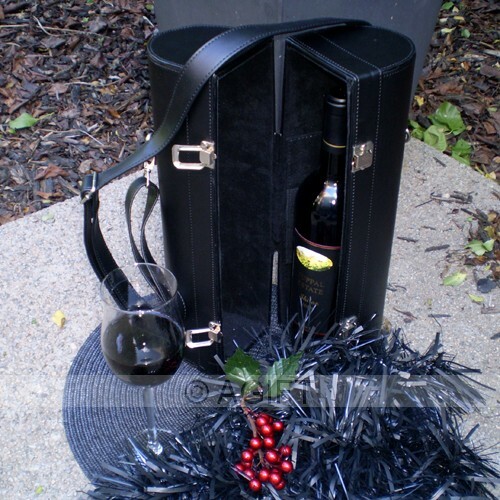 An easy way to carry their favorite bottled beverage to concerts, parties or restaurants. Its sleek, sophisticated design is simple and elegant.